MONTREAL, June 10, 2014 /CNW Telbec/ – The seventy Quebec scientists and professionals from industry and academia who have signed this open letter are committed to using their know-how in an ethical, socially-responsible and environmentally-responsible manner. Exploration for and development of any mineral, including uranium, cannot go against the public interest. 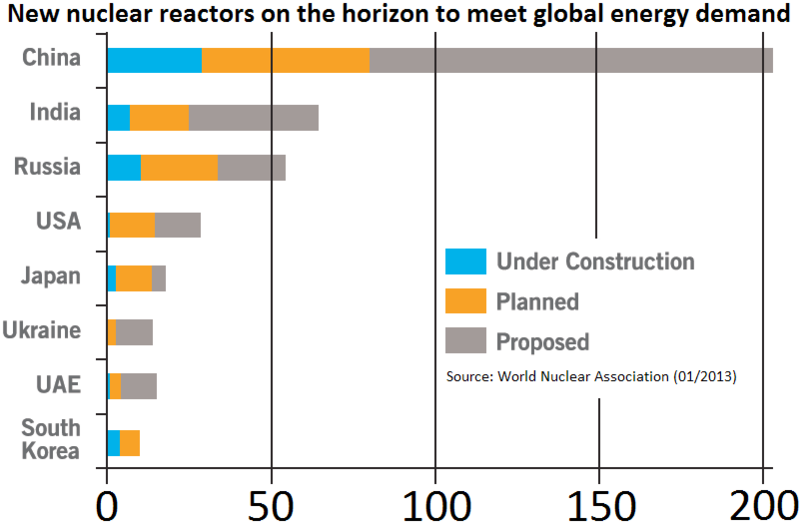 It is possible for the uranium industry to gain broad public support. In Saskatchewan, about 80% of the population supports uranium mining, including 76% of people in the communities and reserves of northern Saskatchewan, where the uranium mines are found (Fast Consulting, Intelligence Community, November 2013). Saskatchewan has been mining the highest-grade uranium deposits in the world for 60 years. Several places in the world, including Labrador, Greenland and Queensland in Australia, recently lifted moratoria that they now perceive as unjustified. The role that nuclear energy could play in combatting global warming was underscored in the latest report of the Intergovernmental Panel on Climate Change (IPCC), an organization established by the United Nations Environment Programme (UNEP) and free from suspicion of complicity with industry. In this context, the signatories question the relevance of the process established by the Bureau d’audiences publiques sur l’environnement (BAPE) on “Quebec uranium industry issues”. We are heading into a process that was borne of uranium fear mongering fueled by an archaic and biased view of the mining industry. The question, in this period of fiscal restraint, is whether this “generic BAPE”, which will cost over $2 million of public funds, should even be held. The choice of Louis-Gilles Francoeur to chair the commission is also perplexing. Throughout his career, Mr. Francoeur has tended to echo uranium industry critics. The BAPE is an institution founded on the principle of absolute neutrality. What would become of the BAPE’s credibility if a former mining executive were appointed chairman of the commission? We must not forget that all stages of the uranium industry, including its aspects of public health and environmental protection, are strictly regulated by federal and provincial legislation. It is impossible for any uranium deposit to be developed, and then mined, without the project meeting the most stringent standards and being subject to public hearings. The Canadian Nuclear Safety Commission (CNSC), a globally-recognized agency with no ties to industry, sets the standards and has permanent monitoring and, if needed, enforcement powers over all nuclear industry activities.